Pharmacies are great for advice and treating most minor illnesses and injuries. 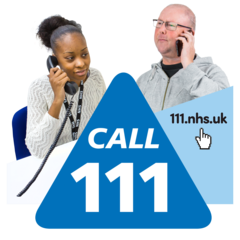 The NHS 111 service is always here for you, if it's urgent but not an emergency. Or try the walk-in centre in Rouen Road, Norwich, open 7am-9pm. Norovirus (sickness and diarrhoea) is more common in the winter. You don’t usually need to get medical advice - drink plenty of fluids, take paracetamol for aches and pains, rest up, avoid visiting your GP and stay at home for 48 hours after the symptoms have cleared. More advice here. We have a 'self care' policy which sets out the every day things that local GPs will not routinely prescribe, such as paracetamol, remedies for stings, bites, sunburn, sore throats etc. This is because these are medicines that we can all buy from our local pharmacist (for minor self-limiting conditions) to put in our household medicine cabinets. It would cost much more for the NHS to prescribe these things than it costs us to buy 'over the counter'. Our self care policy is in line with national NHS policy. Some clinical exceptions may apply. Can your community group come up with a really innovative way to help people in the Norwich area lead healthier and happier lives? Because you can now apply for thousands of pounds of funding from Healthy Norwich, the campaign run by the NHS and local councils to improve lifestyles and promote good health. The money will fund small projects that encourage and support local people to lead healthier lives. For example to prevent people from smoking, to support their mental wellbeing or help people maintain a healthy weight. £40,000 is being offered in grants by NHS Norwich Clinical Commissioning Group, one of the partners in Healthy Norwich, in association with Norfolk Community Foundation. If there are enough really good ideas, it will consider making more money available. Each grant will be for a maximum of £5,000 but time is running out, applications need to be in by 5pm on 13th April, 2017. You can apply online at http://www.norfolkfoundation.com/funds/health-wellbeing-innovation-grants-2016-2018/. Need urgent healthcare? Feel poorly or hurt yourself? Try your community pharmacy. But if it is urgent and you cannot see your GP, call 111 or think about the Walk-in Centre in Norwich or Cromer Minor Injuries Unit. Watch this film to find out more. The CCG's Primary Care Delegated Commissioning Committee meets in public on Thursday 25th April at The King's Centre in Norwich from 10am-12noon. More details and papers here. We plan and purchase NHS services for people in Norwich and south Broadland.